After the launch of Bitcoin, the blockchain technology has been adopted in so many industries aside from the finance industry. Blockchain technology excelled for being a financial technology that has enhanced the remittance of funds securely, and quickly no matter the distance. Aside from being a great FinTech, it has applications in many other industries like education, entertainment, and health, just to mention a few. Though the application of the blockchain is ever increasing, it is important to know a few of its applications aside being a financial technology. Make personal health data available to each patient securely and at their disposal. Help doctors in quick diagnosis and provide health services at lower costs to patients. Use Artificial intelligence to help both doctors and patients. Some of the notable projects in this sector are Skychain, Jibbit, Instant Access Medical, etc. Skychain sees the challenges doctors face in the diagnosis of rare health problems or diseases and decided to do something about it. Doctors can take a lot of time to successfully diagnose rare disease and this may be at the expense of the life of the patient. The reason is that doctors are limited in terms of speed of researching possible causes. They are limited to the health data or research data which is conducted by the hospital they work in. This is because the health data or researches from other hospital are not accessible. It could be said that there is no interoperability between hospitals. Skychain is designing it platform on the blockchain to help doctors to scan rare health problems quickly and with ease. It uses Artificial Neural Network to build Artificial Intelligence which can help in diagnoses of rare diseases. The Artificial Neural Networks are gotten from Hospital Laboratories and they are paid royalties for the data they provide. The AI built are accessible to all (both doctors and patients) for diagnoses at a fee payable only in SKCH. Skychain has just released its beta platform for use by all. Cannabis consumption has been misinterpreted and misused by the world today. Many people do not understand that cannabis can be prescribed by doctors to patients for certain health conditions. Therefore people tend to ostracize anyone found using it, not understanding that it is prescribed. On the other hand, some unscrupulous people have taken advantage of this knowledge to procure cannabis from a pharmacy with a fake prescription and fake endorsement from doctors. Jibbit is creating a platform based on blockchain where doctor’s prescription of a cannabis-based drug can be stored. The doctor’s prescription is stored on the blockchain where it cannot be duplicated or forged. Along with the prescription is the identity of the doctor who prescribed it for security purposes. This prescription can only be redeemed at a registered and authorized pharmacy. Information about the redemption of cannabis-based drugs (like time and location) are all stored on the blockchain for safe keeping. These informations can be referred to in cases of misuse. Jibbit wishes to connect all Cannabis market players and bring back the lost reputation of Cannabis and Cannabis-based drugs. The age we are in is one where the store of value is very important to everybody. Instant Access Medical (iAM) sees a growing challenge in the way patients have access to their personal medical data. Sometimes patients are shut out of this kind of access because their hospital will not allow it. Because the interconnectivity between hospitals is weak and sometimes non-existent, patients traveling to a new location have to start building health records all over again with a new hospital. This can be a waste of time and money. IAM is creating a platform where users will be able to store their personal health data with blockchain technology. Users will be able to securely share their personal health data with their doctors, health caregivers, etc. using the iAM platform. This will surely reduce the stress, time, and money wasted previously in building a new health history with new hospitals. Having their health data at their disposal means they can easily keep track of their health. Users can also decide to sell these data to companies or researchers who need them and be rewarded accordingly. 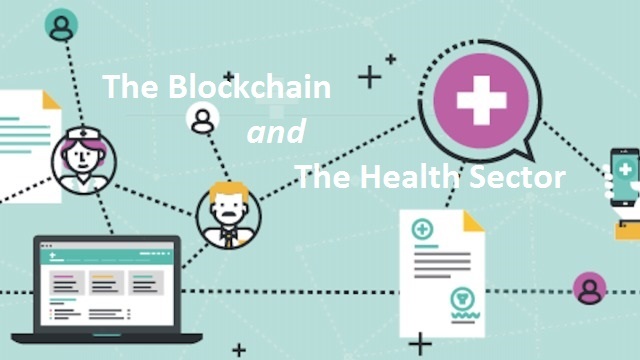 The blockchain technology has many other health applications which the scope of this article cannot cover. Always visit The Currency Analytics and FinancialReport24 to get informed about the latest developments and news about blockchain technologies. So amazing to know that Blockchain Technology cuts across health sector too.